However, Turkey is an active participant in the international coalition against the DAESH terrorist group and has been since February 2015. Turkey also has a four-stage struggle with foreign fighters trying to enter Syria. The first step is called the “prevention in the source country,” to stop fighters leaving their country of origin. The second step is the deportation of suspects identified by Risk Analysis Units and making a list of the deported people. The third stage is the survaillance and detention of foreign fighters who managed to enter Turkey. The fourth step is to improve border security and catch foreign fighters either going to Syria or coming to Turkey from Syria. There are areas seized by different organizations (recognized as a terrorist organization by Turkey) such as DAESH, Al Nusra and the PKK-affiliated YPG (Peoples’ Protection Units). 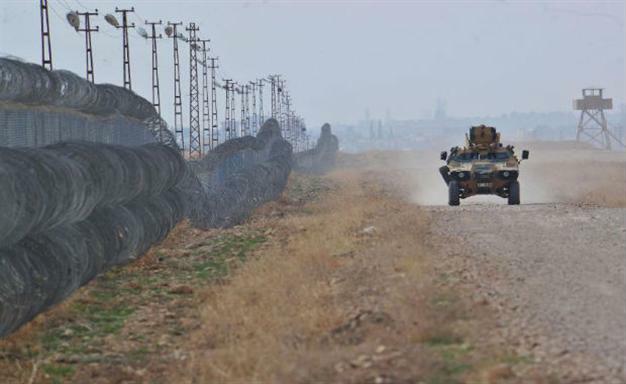 Therefore the border measures taken by Turkey aim at preventing fighters and supplies from joıning those organizations. Source: UNHCR published in August 2015.